The world’s biggest hotel company has a massive footprint in the Caribbean, and it’s only getting bigger. But with such a large network of properties around the region, Marriott was also impacted by Hurricanes Maria and Irma. So what’s next for Marriott in the Caribbean? To learn more, Caribbean Journal caught up with Steve Contos, Senior Vice President – Caribbean & Luxury Portfolio Latin America for Marriott International. Which Marriott properties have been affected by Hurricanes Irma and Maria? Do you have a timeline yet for their return? While the properties mentioned above are all operating, the timelines for accepting new reservations at each are currently not defined. 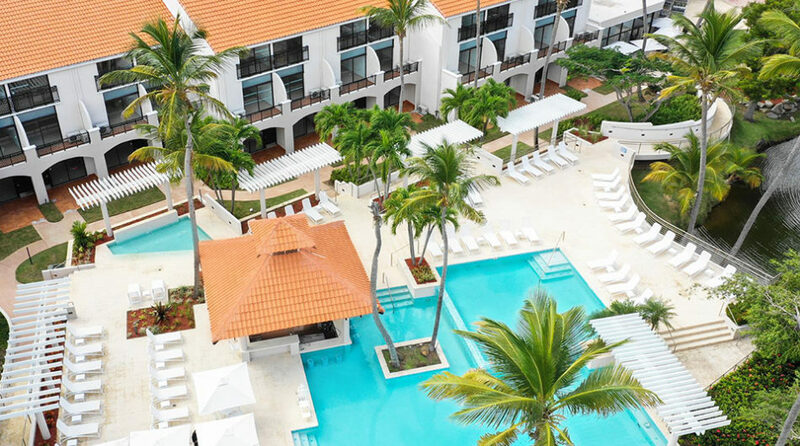 What is Marriott’s footprint in the Caribbean regionally? How many properties do you have across your brands? Marriott International has 55 hotels and resorts situated on 19 islands in the Caribbean, 47 of which are fully operational and welcoming guests. Will you be looking to shift guests who had reservations on affected islands to other destinations? Yes, we continue to work closely with all our property teams to ensure that guests have the amazing Caribbean vacations they are expecting and that the transitions are as seamless as possible. We’ve been telling readers that traveling to the Caribbean — and soon — is the best way to help the region recover. What has Marriott been doing to get that message out? We have a complete strategy for the region that surrounds sharing this same message with consumers, industry professionals, journalists and social media influencers. We know that this message is so important and that travel to the Caribbean in general, whether it be to a Marriott property or not, is the best way to give back and support the islands. Additionally, Rewards members can donate their Rewards points to help communities affected by hurricanes Irma and Maria. They can give to one of Marriott’s featured organizations and support a variety of emergency services to help families recover and rebuild. Such services include: cash contributions, in-kind donations, and employee volunteerism. Another way travelers can help is through the MI Disaster Relief Fund established to support the company’s efforts to assist communities, especially affected associates during times of disasters. Currently the fund is focused on helping communities impacted by the natural disasters that have struck the Caribbean and Latin American regions. For more information, visit Marriott Disaster Relief Fund. What does Marriott’s development pipeline look like in the Caribbean? 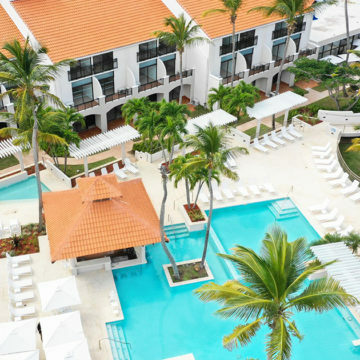 Marriott International has recently signed hotels in Antigua, Aruba, Dominica, Puerto Rico, and Jamaica, as well as Trinidad and Tobago. The Courtyard by Marriott Palm Beach will be a nice addition to our local portfolio in Aruba, which already includes the Aruba Marriott Resort & Stellaris Casino and The Ritz-Carlton, Aruba. The St. John’s, Autograph Collection, in Antigua, will be the first global hospitality brand to enter the local market with eco-friendly amenities and a sustainable facility design. 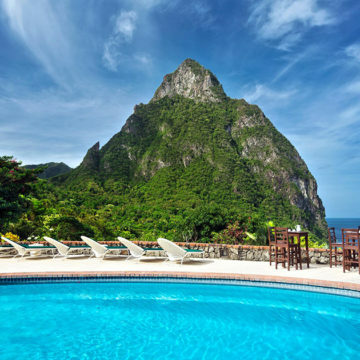 Additionally, a Ritz-Carlton resort will open in Saint Lucia in 2021, bringing the award-winning luxury brand for the first time to the Eastern Caribbean island. There are many reasons the Caribbean continues to be attractive for development. There is solid airlift into the region, the weather is favorable and a big draw particularly during the winter months, and the islands offer a great variety of activities for leisure travelers. Currently Marriott has over 20 properties in the pipeline for the Caribbean in the next five years. The Courtyard brand in particular has been expanding rapidly in the Caribbean. Why is that? Courtyard is the preferred brand for business travel and widely recognized as the leader in the segment with strong market performance, making it a desirable development opportunity. What’s your outlook for Caribbean tourism? Our outlook for tourism in the region is a positive one – those affected islands, each with a colorful history and culture, are filled with people of strength and character. We know they will work tirelessly until their homes, communities and islands rise and regain their full brilliance. Once they get back to the amazing destinations they are, visitors will find that their smiles haven’t faded and their arms remain open, because that is the warm and welcoming nature of the Caribbean. And the good news is that we can tell travelers are hearing that message, as bookings for the holiday season in the region overall are actually up from last year.